On Jun 14, 2018 a high speed horseshoe-like UFO has been filmed over France. The footage shows the UFO speeding through the clouds where it looks like the UFO changes to a horsehoe-like shape but that can be an optical illusion. 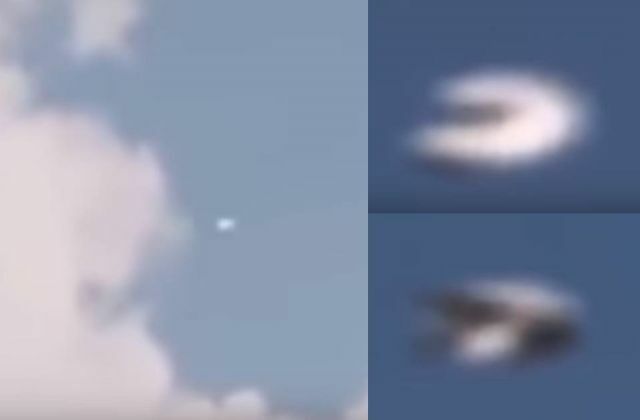 Besides the possibility that the witness has caught a UFO, the object could be a drone or a fighter jet and the white shape is the air stream over the wings as it travels super sonic.